Spironolactone is a diuretic that is used in dogs and cats to treat congestive heart failure and other conditions where the body retains excess fluid. Diuretics are very important drugs in the treatment of congestive heart failure because they send a message to the kidneys to increase the production of urine and the excretion of electrolytes. Furosemide is the most commonly used diuretic in veterinary medicine. Spironolactone operates through a different mechanism than furosemide because it allows the body to retain potassium while excreting sodium and chloride. 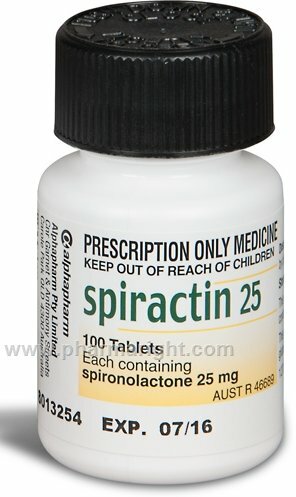 Spironolactone may be used alone or with furosemide in difficult cases of congestive heart failure, or fluid retention due to liver failure. It is not thought of as an emergency drug as it takes two to three days to reach its full effect.